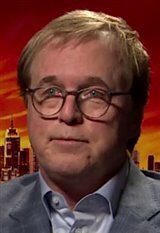 Montana-born Brad Bird first visited the Walt Disney animation studios when he was 11 years old. Although he told the animators he met on the tour that he was going to be an animator one day, they were surprised when he showed up three years later with a 15-minute short. Legendary animators such as Milt Kahl and Eric Larson began mentoring the boy, teaching him the tricks of the trade. Bird's first experience as a professional animator was on Disney Picture's feature film The Fox and the Hound (1981). By 1985, he'd worked his way up to being a writer/director on Steven Spielberg's series, Amazing Stories, followed by directing and acting as executive consultant on the hit TV series The Simpsons. His feature film debut both as a writer and director came with The Iron Giant (1999) for Warner Bros. Animation. The film, about a little boy who befriends an innocent, giant robot that the government wants destroyed wasn't a big box office hit, but Bird blames that on Warner Bros., about whom he says, "They were closing down the animation division while we were still working on it... When they released the film, we didn't even have a poster!" Nonetheless, the film won awards around the world, including a BAFTA Children's Award for Best Feature and an astounding nine Annie (animation) awards (out of a total 15 nominations). John Lasseter of Pixar Animation Studios had been trying to convince Bird to join their team for some time, and they were more determined than ever after seeing The Iron Giant . Bird had been planning a film about a retired superhero, and pitched Pixar the idea for The Incredibles (2004). They loved it and believed in Bird's talent and capabilities so much that they gave him free rein, marking the first time a Pixar film wasn't developed completely internally -- even allowing him to bring in outside artists. In 2005, he won his first Academy Award for The Incredibles when it was named Best Animated Feature Film of the Year. He won his second in 2008 when Ratatouille (2007), which he co-wrote and co-directed, also went on to win Best Animated Feature Film of the Year. Brad veered into the world of live-action motion pictures with Mission: Impossible - Ghost Protocol (2011) starring Tom Cruise, followed by Tomorrowland (2015) starring George Clooney. In 2018, 14 years after his Oscar-winning film The Incredibles (2004) hit theaters, a sequel titled Incredibles 2 (2018) was released. Bird lives with his wife and children in California. Mission: Impossible - Ghost Protocol Clip - "Fan Jump"